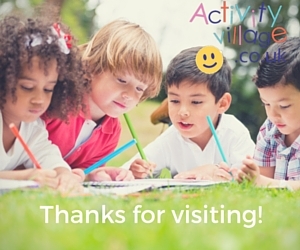 Simply using chalk and coloured card or construction paper, children can draw some really effective snowy pictures. 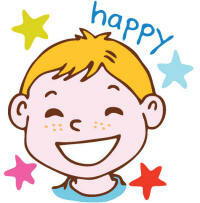 See our examples below! Chalk is excellent for drawing snowy pictures. 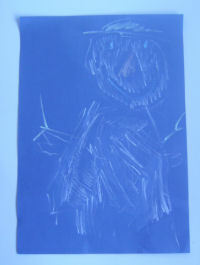 Jack drew a snowman on bright blue paper. 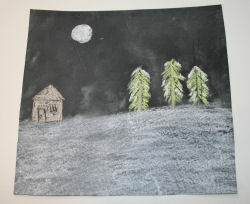 Tilly drew a winter scene using white, peach and green chalk on black construction paper. 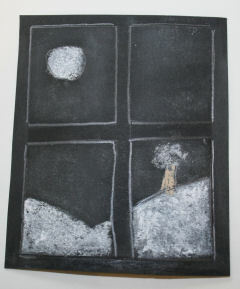 And here Tilly has drawn a view out of the window onto the wintry countryside.